This entry was posted in Recovery & Support on November 27, 2013 by Platinum. 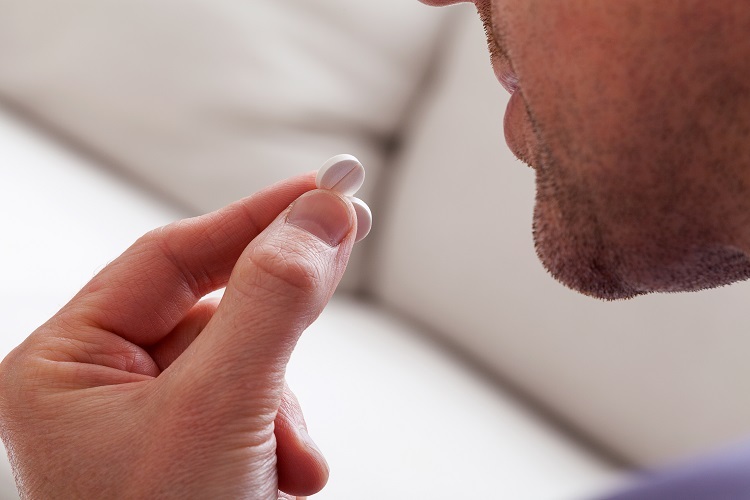 Take two tablets every four to six hours as needed for pain. It’s a typical instruction printed on a prescription bottle intended to ease a patient’s discomfort following a medical procedure or injury. However, the name on the bottle isn’t yours. It’s not your prescription. Or the dose you’re about to take far exceeds the instructions provided by your doctor. According to the Mayo Clinic, prescription drug addiction is an increasing problem, and it can affect all age groups. However, it is more common in young people whose top choices include painkillers, sedatives, anti-anxiety medications and stimulants. Prescription drugs appear safer, and because a doctor prescribed the medicine, young adults are more likely to try prescription drugs over an illegal street drug, which can easily start them down a path to addiction. Everyone’s body chemistry varies as well as the reaction any one individual may have to a prescription drug. A prescription drug that is not intended for you could quickly translate into death. There is a great risk of overdose due to the high potency of some synthetic, or man-made, drugs that are available as prescription drugs. When you have the perception that these drugs are safer, and you combine that with the ease of obtaining prescription drugs, the potential for abuse grows exponentially. In fact, the National Survey on Drug Use and Health shows that more than 70 percent of individuals who abused prescription pain relievers got those drugs from friends or relatives. It is becoming the nation’s fastest growing drug problem, according to the Drug Enforcement Administration (DEA). When used over time, several types of prescription medication abuse leads to severe addiction. Various health-related issues that can result include life-threatening seizures, dangerously high blood pressure and irregular heart rhythms. The most serious side effect is death from an overdose. Because the withdrawal process is painful and dangerous, the detox process requires professional treatment. An individual will also face the challenges of coping with the cravings and working through the withdrawal symptoms. Taking two tablets every four to six hours as needed for pain has a lofty price attached to it when it’s not your name on the bottle. For many, there is a perception that prescription drugs are fairly harmless; but that perception could not be more naïve or dangerous, especially when these drugs are used improperly. The statistics are staggering. The Centers for Disease Control and Prevention (CDC) reports that in 2010, nearly 60 percent of overdoses involved known prescription drugs, and nearly 75 percent of all prescription drug deaths are accidental. The CDC also found that over the last 10 years, fatal prescription drug overdoses have outnumbered deaths from heroin and cocaine combined. False perceptions, together with the alarming rates at which prescription meds are being abused, help explain why this problem is so complex.